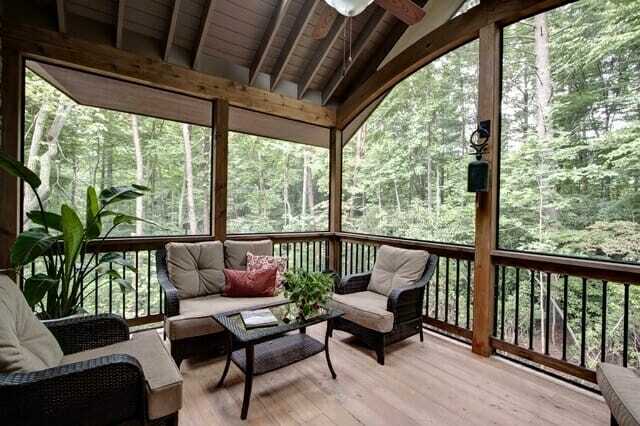 Lucky you, you’re adding a sunroom to your home! But before you start thinking that everything is going to be golden from here on out, remember: you still have a little bit of work to do before you can soak up those rays. After all, before you can set up the chaise lounge, you’re going to need some flooring. Thankfully, you have lots of options to choose from. No matter your taste, you’ll likely be able to find something that suits it. It’s all about being smart when you make your selection. 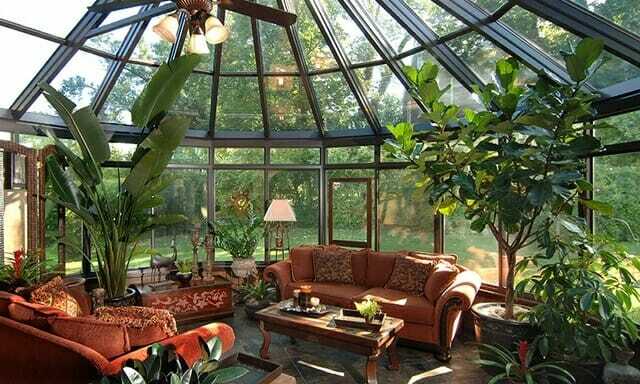 Sunrooms are a whole different animal from the rest of your home. Because they are exposed to the elements, albeit gently, as well as to traffic coming from outside, sunroom floors need to be sturdy and fade- and moisture-resistant. Picking out a sunroom flooring type can be challenging, especially if you want to use the room year-round. Floors here need to keep from overheating and burning bare feet when the sun is beating down hard, but they should also absorb some sunlight to warm the room come wintertime. As with most things, each type of flooring has its advantages and its drawbacks. It’s all about picking the material that will work best for your needs. Here’s what to consider with each one. Carpeting has come a long way in a few short decades. Whereas before, you needed to limit it to the areas of your home with the least traffic in order to keep it nice, now there are plenty of options that can stand the onslaught of feet coming in and out. In fact, carpeting is a great choice in a sunroom because it doesn’t heat up in the summer and it keeps your feet toasty in the winter. If you plan on going this route, make sure to purchase an indoor/outdoor type that will be able to stand strong against the weather. Or consider installing outdoor tiles. We love these because they can be replaced by the tile in case mildew gets the best of you. You can even combine different colors in patterns for a unique look! Is anything more elegant or easier on the eye than a beautifully crafted hardwood floor? We love a very light-colored wood in a sunroom for a Scandinavian spa look—plus, with lighter woods, any eventual fading will be less noticeable. For this reason, you’ll want to stay away from darker stains—or if you just can’t live without those deeper tones, make sure to put down a sturdy indoor/outdoor rug over your floor to extend your wood’s life. Additionally, you should be aware that while wood floors stay nice and cool in the summer, they don’t retain much heat in colder weather, so they might not work as well in chillier locales. You can get all the benefit of hardwood floor and spare yourself the expense by substituting a quality wood laminate. Or you can even go for a tile or stone laminate. One of the benefits of laminate is that it’s cheaper and easier to install than other materials. However, be aware that it can fade after time—especially if you get the wrong kind. You’ll want to make sure that the variety you pick out includes UV protection. This will help extend the life of your floor, but if you really want to go the extra mile, you may also want to treat your laminate with an oil-based stain as well. One of tile’s many benefits is that it can handle a little humidity. It’s also pretty durable when it comes to wear and tear. 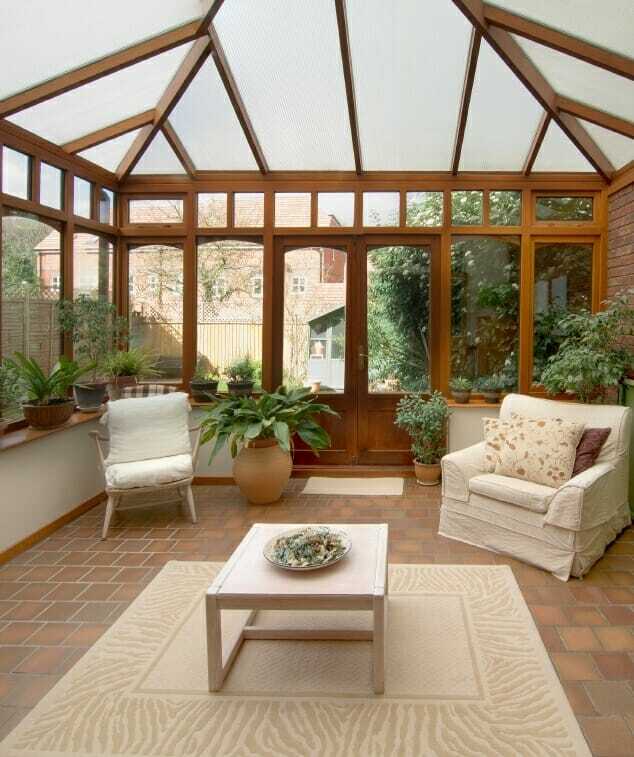 And in a sunroom, a tile floor can help moderate the temperature during warmer months. They’re also super versatile: you can incorporate a beautiful Spanish villa look with ceramic tiles, or an plan an ultramodern escape with slate tiles. Just be careful when you pick them out because very dark tiles can get pretty hot after a day in the sun. Once upon a time, concrete flooring was reserved for factories and workshops. However, in recent years, it’s become super popular, and not just for those coveting an industrial look. Stains, paints, and stamps can do a lot to elevate concrete from plain old gray to visually dazzling. Concrete cleans up nicely and resists the rain like nothing else, but it can be a bit chilly in the wintertime. Stained or painted concrete can also get a bit slippery when wet, so if you live in a soggy climate, or if your sunroom is abutting a pool or lake, it may not be the best option for you. Linoleum is extra tough and can stand up to the heaviest of traffic, making it a wonderful choice in any sunroom. It’s also extra easy to clean. Although linoleum went out of vogue for a while, it has been making a steady comeback—and since it’s made from natural materials, it’s a little more environmentally friendly than some other flooring choices. Of course, just like laminate, it is subject to fading, so take care to look for sun-resistant types.